Oh, what fun! The fair attracted large crowd, something that JamOff should probably thanked for. The snowflakes were the shoppers' favourite, even though Christmas is long long gone. Maybe the impending wintry chill had a subconscious effect on people. It was a pity that the end of the delicious competition coincided with the fair closing. The JamOff crowds seemed eager to buy, but instead had to be waved away as everyone was instructed to pack up in a hurry. TheNewDowse Reka cafe sweetened the deal by handing out free brownies. I gave mine away, but I do recall them being very very tasty. Photos by Jack Bush. I'm yet to pen a debrief of my own, but here's the Ponoko version. Made some new earrings this week! Here's a group of Ziks. At the end of every Craft2.0 fair, one very very lucky and probably very very happy shopper leaves with a goodie bag full of crafters' creations. Many stallholders donate an item or two or more to the gift bag. Mmmmm free stuff. Anyway, this gift bag will contain a rather adorable red felt Snoork. Hopefully he won't start gnawing on everyone else's stuff. Easter. What is it really about? Hot cross buns? Delicious chocolate bunnies? Well, we all know that just like Christmas, Easter is all about retail therapy, albeit on a lesser scale and with no obligation of sharing your loot with people you pretend to care about. Easter is also about stuffing yourself silly, which helps create a protective fat layer for the winter months. Don’t kid yourself thinking that this is unhealthy. All that advertising telling you to treat yourself can’t be wrong! You can pretty much kill both birds (of bunnies) with one stone and come to Craft2.0 @TheNewDowse this Easter Saturday. There will be plenty of tasty treats as well as loads of amazing design creations to look at. 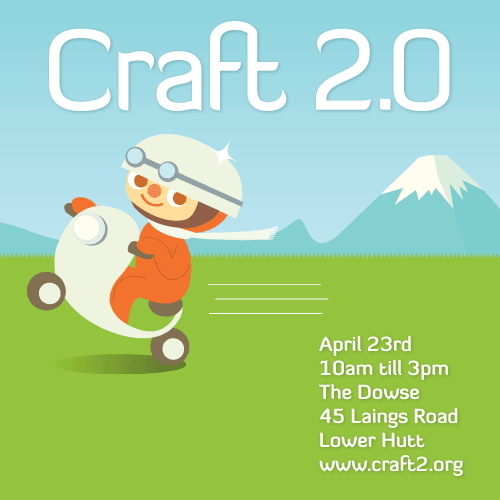 This is a rather special edition of Craft2.0 being its 5th anniversary. 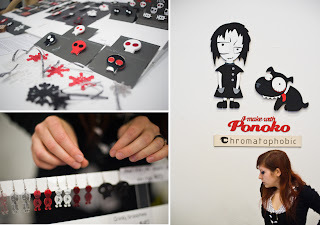 Ponoko have been involved with the fair since it started and will be out in force around TheNewDowse this time around. There will be plenty of materials samples and laser cut + 3D printed projects. Another very exciting addition to Craft2.0 this time is the Jam Off competition, which has been getting quite a bit of publicity in Wellington newspapers as well as online. The interest in Jam Off has been rather spectacular, so the 2pm competition kickoff should attract much attention. Mmmmm 24 kinds of jam.